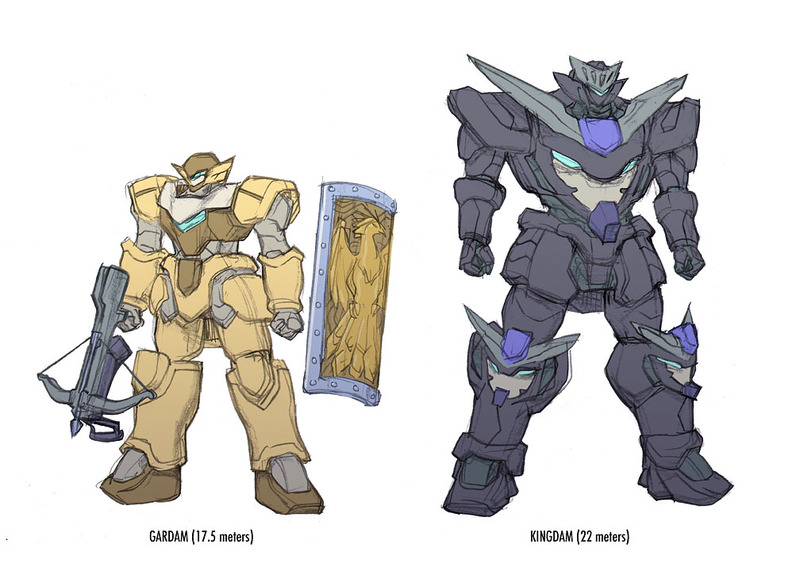 The Gardam, as its name implies, is a knockoff of the Ardam. 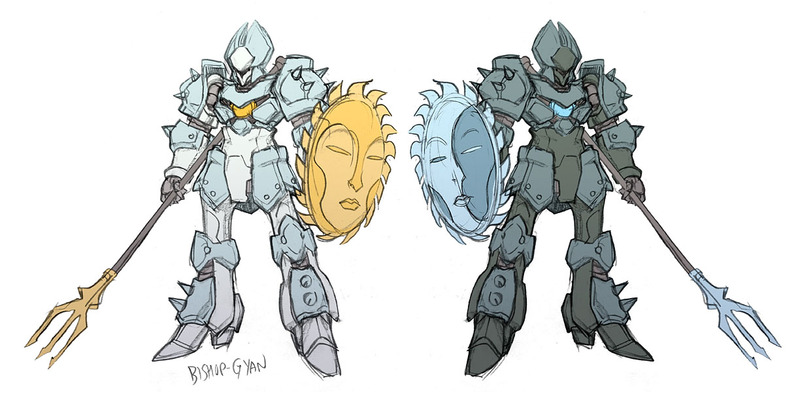 Instead of having super-tough armor all over, it just carries a really awesome shield. 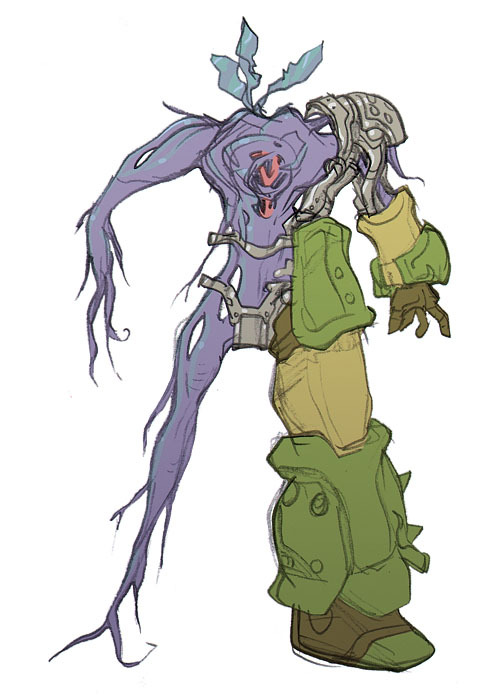 And then there's the Kingdam, a monster giant that can take down any enemy, but is normally kept out of the battlefield because it contains the heroes' irreplaceable mandragora root. 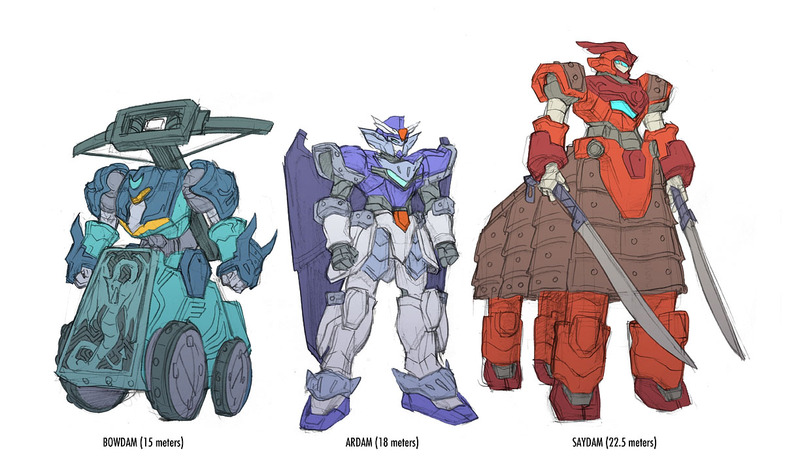 In case you were wondering, this is how all these prehistoric giant robots are able to move around. Each one houses an alien plant stem which functions as the equivalent of a nervous system, interfacing between the human pilot and the robot's cogs and gears. 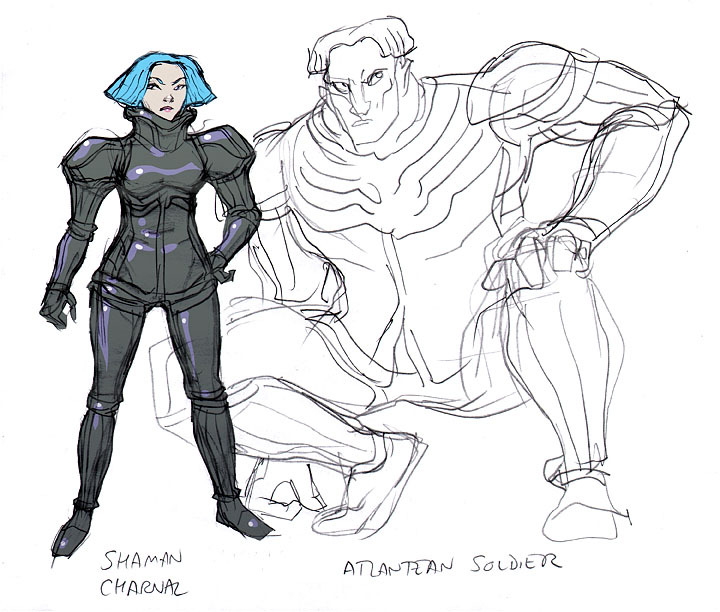 Meanwhile, I figured we needed some characters for this story. I didn't try to get too fancy with the names, and they're just one degree removed from the literary characters I templated them on. Since this is set on the lost continent of Lemuria, naturally there's a lemur mascot. And here's the obligatory enemy ace, a human traitor who fights on the side of the titanic Atlanteans. Again, I'm not exactly trying to be subtle with the names! I had a lot of fun doing those fantasy-themed Mu Gundam designs, so let's bring on round two! 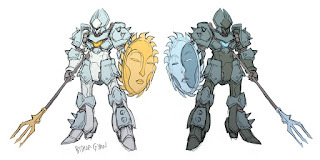 Meanwhile, here are the Saydam's bad-guy counterparts, the White Bishop Gyan and Black Bishop Gyan. Enjoy! 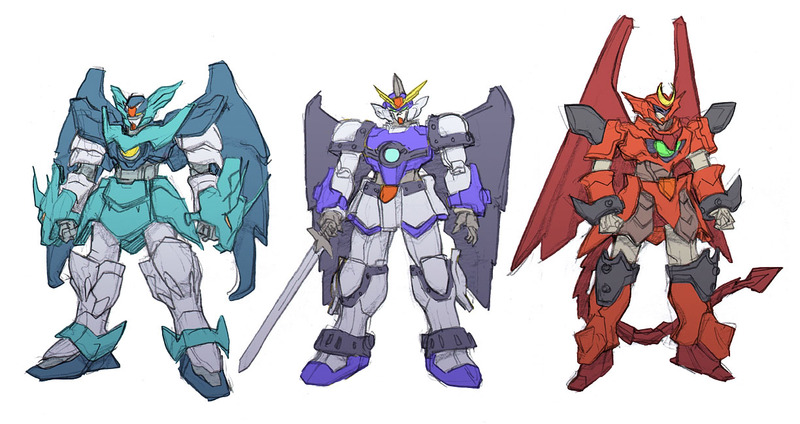 Edit: For the next installment in this series, see Return of Mu Gundam. 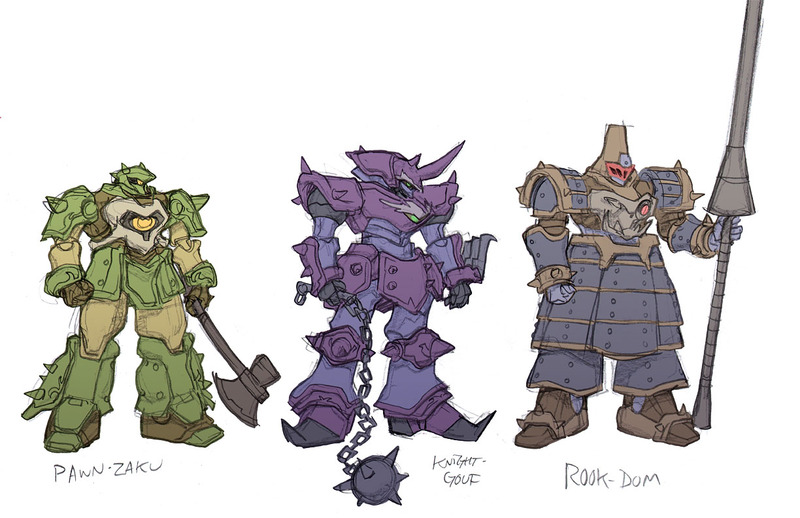 I had some free time today for personal projects, so here's a round of robot doodles inspired by a discussion topic on the Gundam Guy blog. 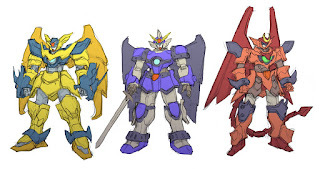 The original question was, "What would you like to see in the next Gundam series?" 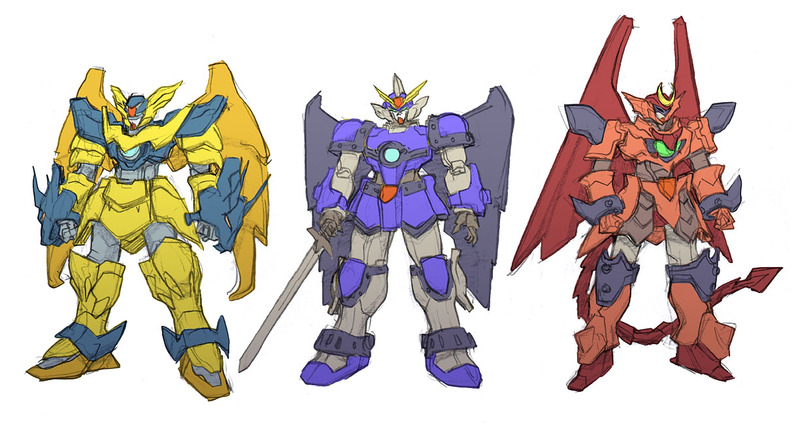 Here's my idea for an imaginary Gundam story, which I'll call Mu Gundam. 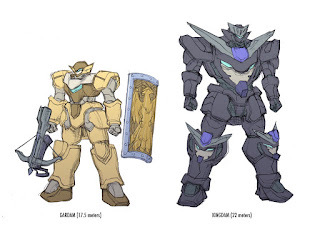 The typical Gundam series takes place hundreds of years in the future, but Mu Gundam would be set ten thousand years in the past, making this a gonzo fantasy story with giant robots. 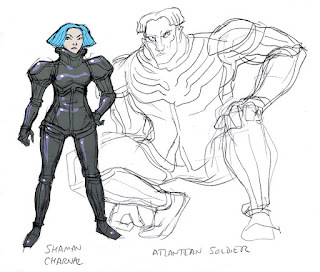 It takes place on the lost continent of Lemuria, which is ruled over by a race of super-advanced Atlanteans who came down from the stars and live in a flying city. They maintain their dominion over our human ancestors with armies of giant robots. The Atlanteans, of course, look exactly like the bald albino Engineers in Prometheus. I feel like that movie didn't really milk the "ancient astronaut" gimmick as much as it could have, so let's give it another try! 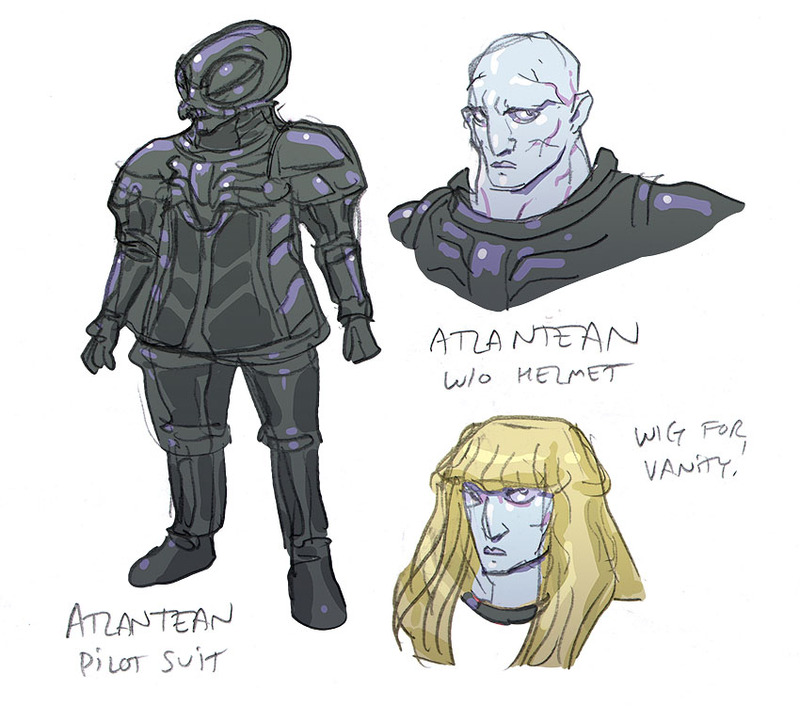 Since they're bald and vein-y, they wear pretty wigs to cover their ugly heads, so they're also a lot like the Therns from the Edgar Rice Burroughs Mars series, or the rubber-masked mutants in Beneath the Planet of the Apes. 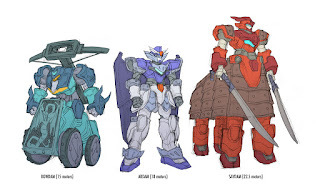 Naturally, the oppressors are resisted by a small team of heroic Gundams, which fight to liberate the lost continent from the tyranny of the wigged Atlanteans. It wouldn't be Gundam if there weren't any Gundams! And hey, while I have your attention, why don't I throw in a plug for the Ultrasylvania Vol.2 Kickstarter funding drive? If you like international steampunk intrigue involving famous horror-movie monsters, or you want to support a lovely bunch of up-and-coming comic artists, you have three more days to hop aboard. If they make their target on schedule, I'm reasonably sure I can persuade writer Brian Schirmer to put the Gill-Man in volume 3.